Dancehall 101 will feature as a series of posts explaining crucial elements of Dancehall to those that aren’t particularly familiar with the genre. These posts will celebrate the culture behind the music and begin to explain why this incredible genre of music sounds the why it does. The word ‘riddim’ comes from the Patois pronunciation of rhythm and describes an instrumental background to a song, this is then accompanied by a deejay’s ‘voicing’ over the track. Notice at this point that the voicing and instrumental remain entirely separate, resulting in the riddim being ‘voiced’ over by various different artists, often with their own unique twists on the riddim. This practice has long been a part of Jamaican music and is not just unique to dancehall, with many dating it’s origins back to the 1950s. The prominence of this form of production has often been explained by the soundsystem culture that has prevailed throughout the years in Jamaica, with dance music tending to be played through sound systems opposed to live bands. In the 1950s, these soundsystems would mainly play R&B singles from the US as Jamaican popular music did not really begin to flourish until the 1960s. As Ska began to emerge in the 1960s, the recording studio became the focus of the Jamaican music industry, in which the culture of borrowing instrumentals and songs begins to be seen very clearly. With one of the first hit songs coming out of Jamaica ‘My Boy Lollipop’ by Millie Small, in fact being a cover of an obscure R&B song of the same name by Barbie Gaye dating back to 1956. These releases are often aided by the distinct lack of copyright laws that are enforced on local releases. The first steps towards the riddim production that is seen in Jamaican music today, began in the early 1960s when producer Clement ‘Coxsone’ Dodd would record local artists singing over imported records from the US, such as recording The Wailers singing over Dion & The Belmonts 1959 single ‘A Teenager in Love’. Around this time the methods of delivering this music also started to change as Deejays were beginning to play a bigger and bigger part in popular Jamaican music. This started with the practice of Deejay’s ‘bigging up’ themselves at soundsystems, which would usually consist of a deejay shouting over a song whilst encouraging dancers and patrons of the soundsystem. These interjections then started to become more stylised and began to start featuring over instrumental recordings opposed to already recorded songs. Note at this point, this also explains the rather confusing characteristic of Dancehall, that of referring to artists as Deejay’s and referring to what we would traditionally associate a DJ, as a ‘selector’. This form of production began to reach further prominence through the production of King Tubby and the deejaying of U Roy, as they would record over older rocksteady instrumentals. This is perfectly demonstrated by U Roy’s masterful deejaying over the Paragon’s classic On the Beach. Around this time, another element started to push riddim production to where we see it today and that is the inclusion of having the B side of a single contain an instrumental opposed to another song. Soundsystems began to utilise these instrumentals, firstly as a way of increasing crowd participation by getting the audience to sing along to the instrumental. But more importantly, these started to be used as backup tracks for skilled deejays such as U Roy to ‘voice’ over at soundsystems. As Reggae exploded internationally during the late 1970s and 1980s, dancehall began to develop even further, as Reggae became more internationally focused and further removed from what was favoured by young Jamaicans. The riddim culture started to develop into what we can see now, as deejays at soundsystems would line up to ‘voice over’ popular riddims. This also began to extend into the studio as producers would race to get deejay’s to voice over popular riddims. During this time, these riddims normally consisted of old B side instrumentals from Coxsone’s Studio One or Duke Reid’s Treasure Island, which are a far-cry from what we hear in dancehall today. Towards the start of the 1980s, Dancehall underwent some very important changes moving it more towards what we can hear today, as producing re-licks of older riddims became the norm, with producers such as Clement ‘Coxsone’ Dodd, stripping down some of his older instrumentals into more deejay friendly forms. At the same time, the style of ‘voice overs’ began to change, as deejay’s moved away from the loosely structured chanting of pioneers like U Roy and more towards rhythmic and on beat chanting that was being introduced by acts like Lone Ranger. This style of deejaying continued to gain prominence throughout the beginning of the 1980s, with deejays like Yellowman and Eek A Mouse further developing this craft. The influence of rap should also be noted at this point as acts like The Sugarhill Gang gained popularity in Jamaica, with deejay’s such as Welton Irie even covering their 1979 hit ‘Rapper’s Delight’ with his 1980 track ‘Hotter Reggae Music’. One of the biggest steps towards modern riddim production came in 1985, with the release of Wayne Smith’s ‘Under Mi Sleng Teng’, which was produced entirely on digital keyboards by King Jammy. This really underpinned the movement in riddim production towards short ostinato’s (a repeated musical phrase or rhythm) opposed to B side instrumentals. This track has since become a landmark in the history of Dancehall. Following the release of ‘Under Mi Sleng Teng’, digital production became the norm in the production of riddims, with the number of producers and studios exploding across Jamaica, as producing riddims became easier than ever, as keyboard synthesizers, sequencers and drum machines began to takeover from live music production. Since the 1980s, riddim production has not seen any groundbreaking changes, as digital based production has remained the norm. The majority of songs are still ‘voiced over’ well established riddims that are popular at the time. Generally, it is only on individual artist albums that feature songs that do not use established riddims. The 1990s saw riddims moving further away from the skanking friendly roots-reggae rhythm, which is typically around 60bpm, moving instead towards a faster 3+3+2 beat, which was beginning to become more popular as a new wave of producers began to takeover dancehall. With producers like Gussie Clark, Sly and Robbie and Bobby Digital at the forefront of this movement. Towards the end of the 1990s, dancehall saw further development, as there was an insurgence of internationally and crossover sensitive riddims, with new talents like Dave Kelly and Jeremy Harding producing riddims that were beginning to have larger crossover appeal in large markets like the UK and US. The 2000s saw another shift in the sound of riddims, as dancehall-pop started to emerge, where production was focused around traditional elements of pop music, such as repeated choruses, melodic tunes and hooks. This saw unprecedented success for dancehall, as Sean Paul secured the genre’s first US number in 2003 with ‘Get Busy’, which was voiced over the Diwali Riddim produced by Steven ‘Lenky’ Marsden. In recent years, riddim production has become increasingly decentralised with a wide range of producers having an impact on the sound of riddims coming out of Jamaica. With an increasingly large number of notable producers such as Not Nice, DJ Frass, Chimney Records and Seanizzle Records all being prominent producers. With Not Nice, being closely associated to acts such as Popcaan and Vybz Kartel and DJ Frass being closely linked with artists like Alkaline and Mavado. Throughout the history of dancehall, riddims have served as a foundation to the music being the key instrumental element to the music. The style and production of riddims has seen many changes but they have always remained an integral part of dancehall. 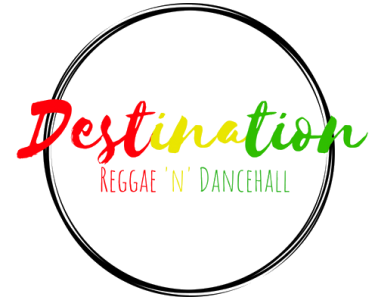 The sound and culture that surrounds riddims really makes dancehall what it is, making it both a highly competitive genre, as artists are often compared whilst ‘voicing’ over the same riddims and a highly versatile genre. Riddims will always be a defining element of dancehall.